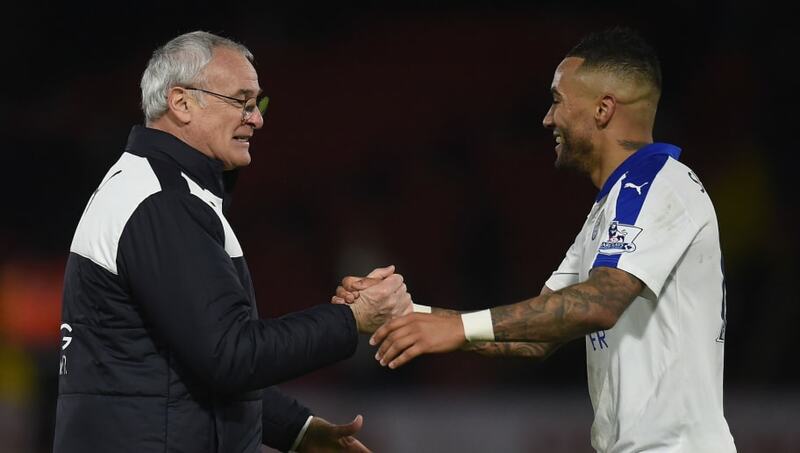 ​Fulham manager Claudio Ranieri is keen to sign Leicester's out of favour right back Danny Simpson on loan. The Italian worked with the English defender during his time managing the Foxes, when they won the Premier League title in the 2015/16 season. The Cottagers weren't expecting to be in a relegation scrap this season, having spent almost £100m in the summer, but according to ​the Mirror Ranieri wants to sign Simpson to aid their bid to avoid the drop. Fulham find themselves just three points above rock-bottom Huddersfield and, having shipped six goals in their last two Premier League matches, are in dire need of defensive reinforcement. Simpson, who joined Leicester in 2014 from ​Queens Park Rangers, has fallen down the pecking order under Claude Puel after the arrival of Portugal international Ricardo Pereira, and thus the 32-year-old could be available on loan this month. ​Fulham have also been interested in bringing ​Newcastle midfielder Jonjo Shelvey to Craven Cottage in this window and it had been reported that Scottish midfielder Tom Cairney could go the other way, as Rafa Benitez is known to be a long-term admirer of the player. While Fulham have outscored the three other teams in the Premier League's bottom four, their record of 49 goals conceded is comfortably the worst in the division. Ranieri will be desperate to sign any reinforcements he can this window, especially defensively, to ensure that he can guide the Whites to safety.